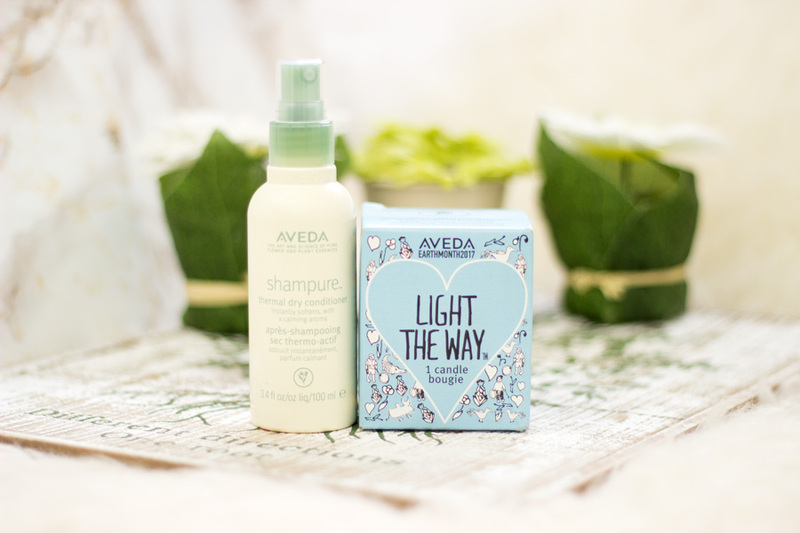 I am always very excited whenever I get an Aveda delivery because I have tried, tested and loved their products over the past year. 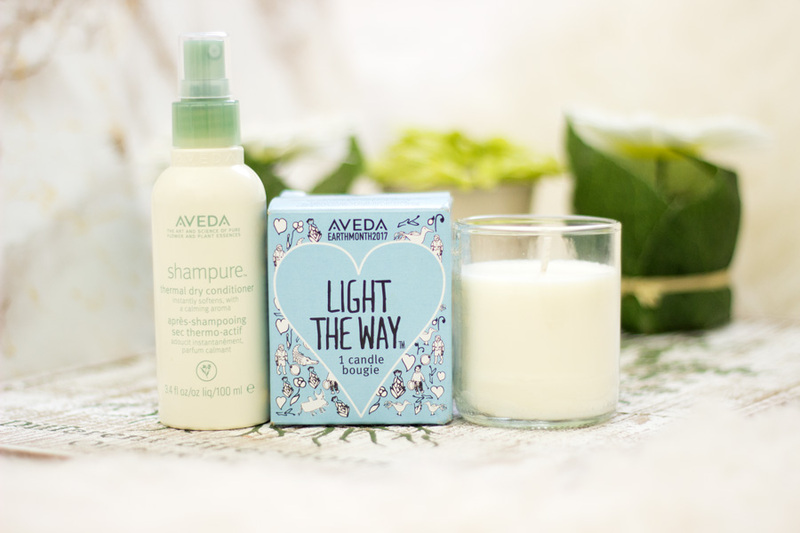 Towards the end of last month, I got a lovely package containing their newly launched Aveda Shampure Thermal Dry Conditioner* and their 2017 Limited Edition Light the Way Candle* just in time for Earth Month (a charity initiative that raises money to upport access to clean water projects for communities in need across the globe). 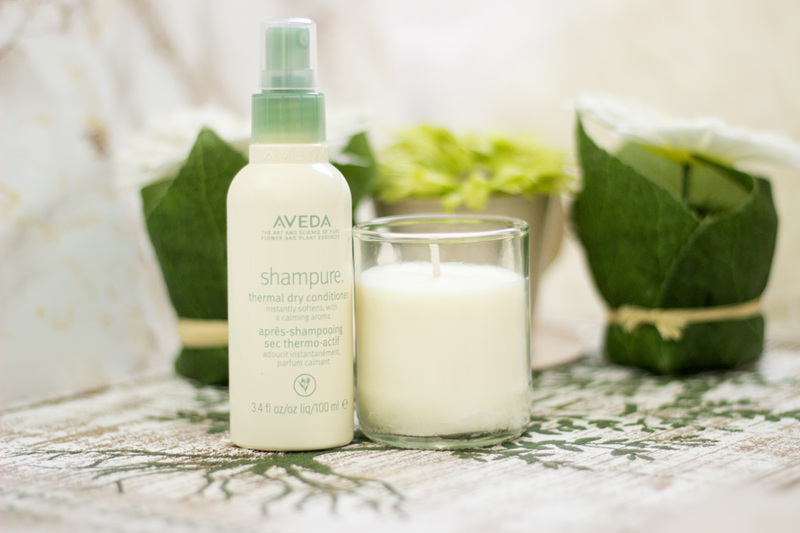 I am a big fan of charities and I do donate to some charities which are close to my heart so I was very happy to support this Aveda on this initiative. 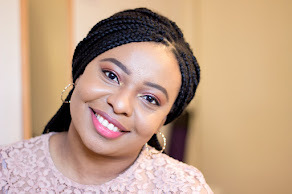 I thought I'd give a brief review of the products I was sent and also tell you more about the Earth Month initiative so you can show your support. Aveda usually launches their Aveda Earth Month every April and they show their support via various means. If you are wondering what Earth Month is all about; I totally have you covered. Earth Month is essentially a charity initiative that raises money to support access to clean water projects for communities in need across the globe. Aveda usually shows their support via donations to Water Aid and they have done this for several years. Over these years, they have successfully raised £745K which has funded projects in Ethiopia, Nepal and most recently, India. For 2017, the focus is on women and girls in Andhra Pradesh, India. Aveda is joining forces to raise awareness by asking people to take on the #Aveda5mile Challenge. Why 5 Miles, you may ask? 5 miles represents the distance some women have to walk to for a daily supply of clean water for drinking, hygiene and sanitation needs. It is so sad to even think about it and that's why I think this is such an important cause to support. Aveda is asking for our support by taking on a 5 mile challenge (be it in walking, rowing, climbing, cycling, anything you fancy) and on completion sharing an inspirational image and message on Instagram using the #Aveda5Mile and including the WaterAid text to donate details (text "Aveda" to 70123). By doing this, an automatic donation of £3 will be sent to WaterAid and the Aveda Earth Month Campaign 2017. You can also choose to tag a friend to pass on the Earth Month baton and nominate them to take on the Aveda 5 Mile challenge. I think it is pretty straightforward and I will also be posting the same details on my Instagram. I have been practising my 5 Mile challenge by walking to work and I am hoping to complete 5 miles before the end of the month. The challenge is on from 1st-30th April 2017. I hope we can all come together and support such a worthy cause!! 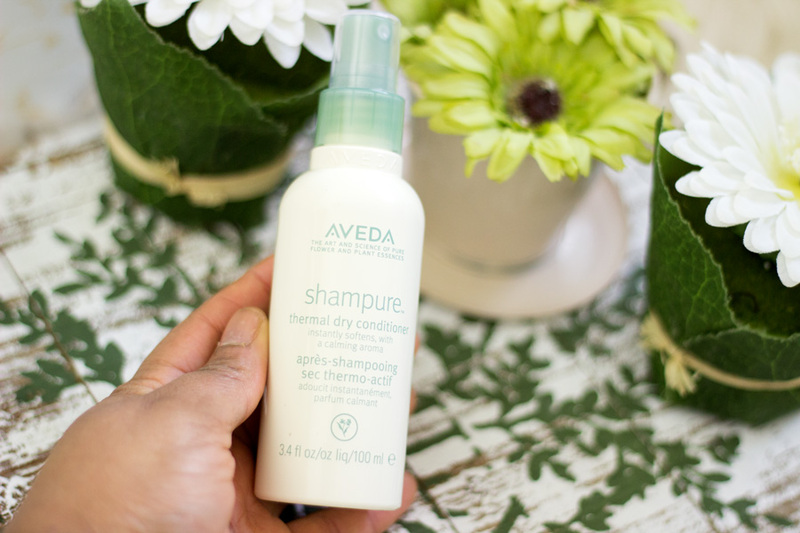 I currently have braids on and this Aveda Shampure Thermal Dry Conditioner arrived at the best time for me. Whenever I have braids on, I tend to stay clear of any products that will dry out my hair or attract dirt/grime to my braids and scalp. I usually reach for products that will provide adequate moisture to my hair without any residue and maintaining this moisture level through the day. 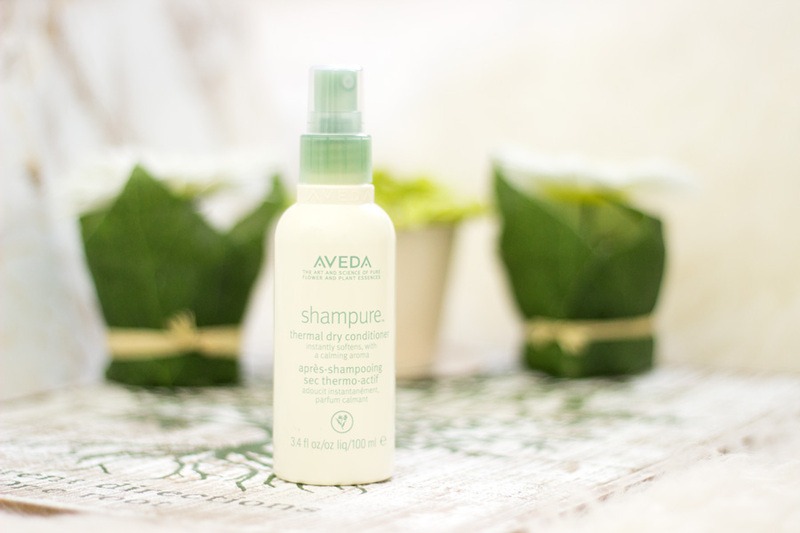 The newly launched Aveda Shampure Thermal Dry Conditioner is designed to condition, detangle and soften hair on non-wash days and it really does what it says on the packaging. Its ingredients are 97% naturally derived and I am always happy to use hair care products that are natural. It contains a blend of certified Organic Jojoba and Sunflower Seed oils, 25 pure Flower and Plant essences including certified Organic Lavender, Petitgrain and Ylang Ylang. As you would imagine, it smells absolutely divine. I could pretty much use this as a pillow spray before I go to bed because it feels so calming- like I am relaxing in an amazing spa awaiting a massage. 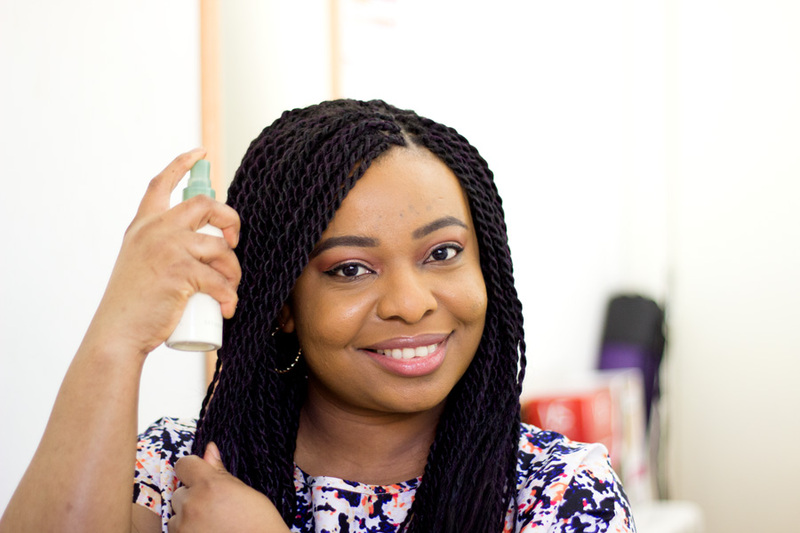 I have been reaching for it everyday since it arrived and it is the only product I currently use on my braids. 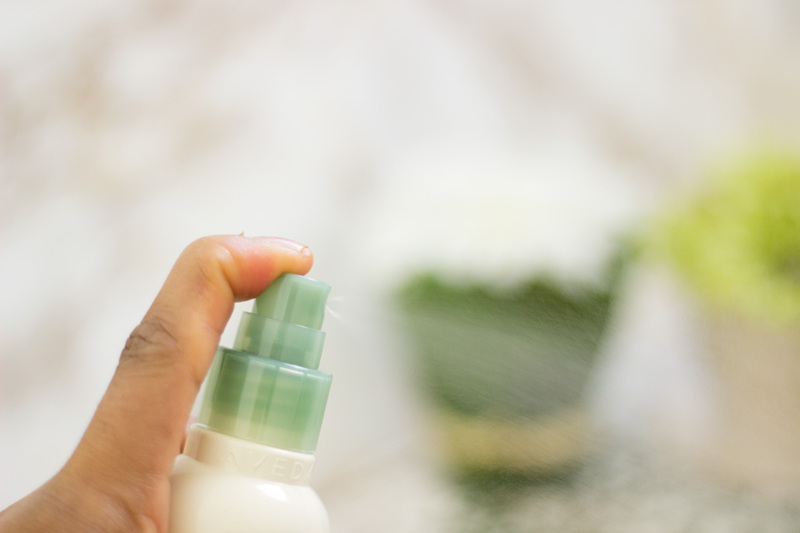 When it comes to sprays, the first thing I check is the way the mist is dispensed and I am so pleased with this one. It sprays an even fine mist that completely covers each section of my hair. It feels refreshing and adds some moisture back to my hair which is all I just really want. My hair feels really soft and smells so great. I can't wait to try it out on my Afro when I take out my braids to see how well it works on detangling and softening my Afro. I feel like when summer fully kicks in, I would pop this in my handbag to quickly refresh my hair when the sun makes my hair dry. It contains 100 ml of product so I think it will last a good while. It is an absolute winner for me and I really enjoy using it. 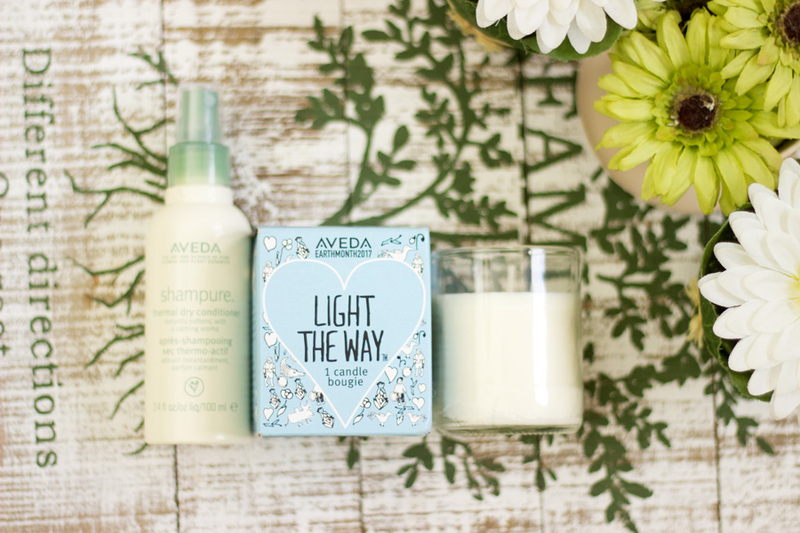 I believe Aveda creates a new candle every year to support Earth Month and for 2017, they have created the Light the Way Candle with tag line "Light the Way and Make a Difference". 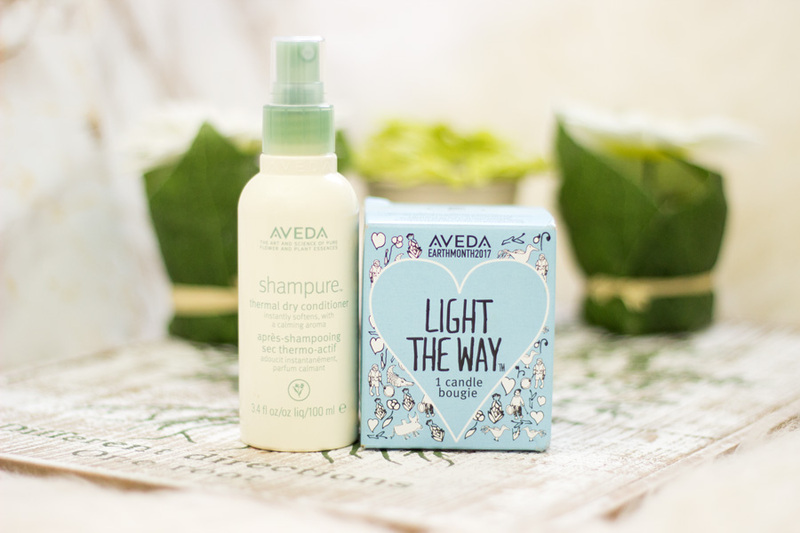 Aveda is essentially inviting everyone to light the way to clean water by making one small change at a time. For this year (2017), Aveda will be donating 100% of the purchase price of this limited edition candle (which retails for £16) to Global Greengrants Fund- a nonprofit organisation that changes high impact grands to grassroots groups working to solve environmental problems around the world. 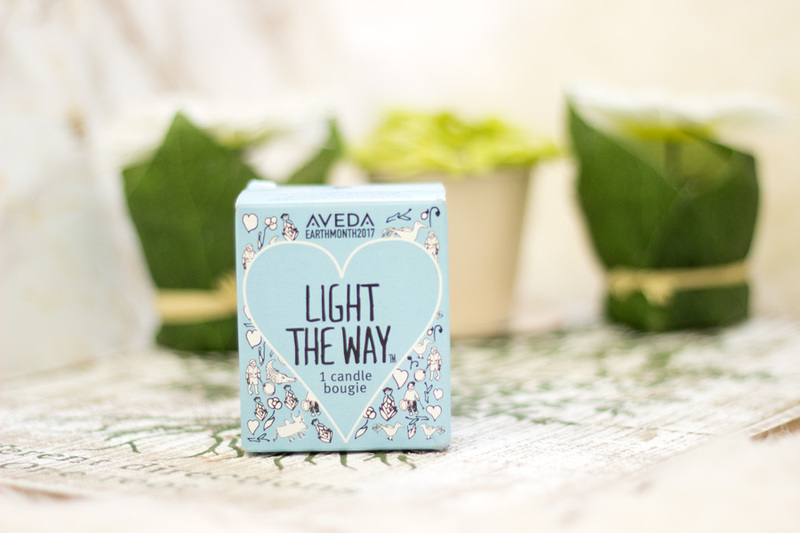 Since 2007, Aveda has raised $13 million through various limited editions of the Light the Way candles sales. I love when brands do a 100% profit donation and it just goes to show how dedicated they are to the initiative, so a massive well done to Aveda!! The outer packaging of the candle is so gorgeous. When I found out that the illustrations on it were created by children living in the region of Manakara Madagascar who have benefited Earth Month initiatives, it totally warmed my heart. I love it and I will definitely be keeping it as long as I can to remind me of these kids. The candle in itself smells so beautiful and exactly like a spa. Although it is quite a small candle, the scent fills my entire room, in fact when my package arrived, I could smell it through the parcel. 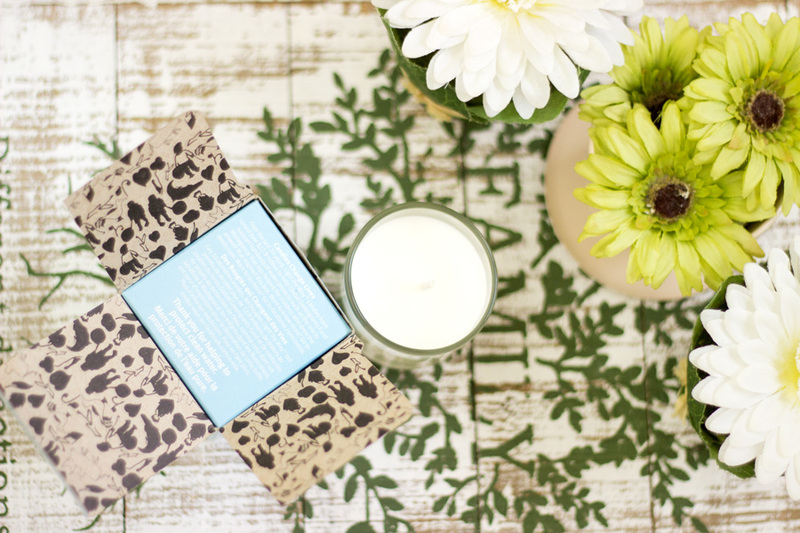 Its ingredients include Soya Wax, Certified Organic Vanilla, Cinnamon and Ylang Ylang from Madagascar. I definitely don't want it to finish quickly so I have been burning it exclusively on days when I need to relax (believe me I have had so many lately!!). It burns very smoothly and there is no tunnelling in sight. 1. Take on the Aveda 5 Mile challenge (be it in walking, rowing, climbing, cycling, anything you fancy) and on completion sharing an inspirational image and message on Instagram using the hashtag #Aveda5Mile and including the WaterAid text to donate details (text "Aveda" to 70123). 2. You can also simply (text "Aveda" to 70123). By doing this, an automatic donation of £3 will be sent to WaterAid and the Aveda Earth Month campaign 2017. 3. You can choose to tag a friend to pass on the Earth Month baton and nominate them to take on the Aveda 5 Mile challenge. 4. 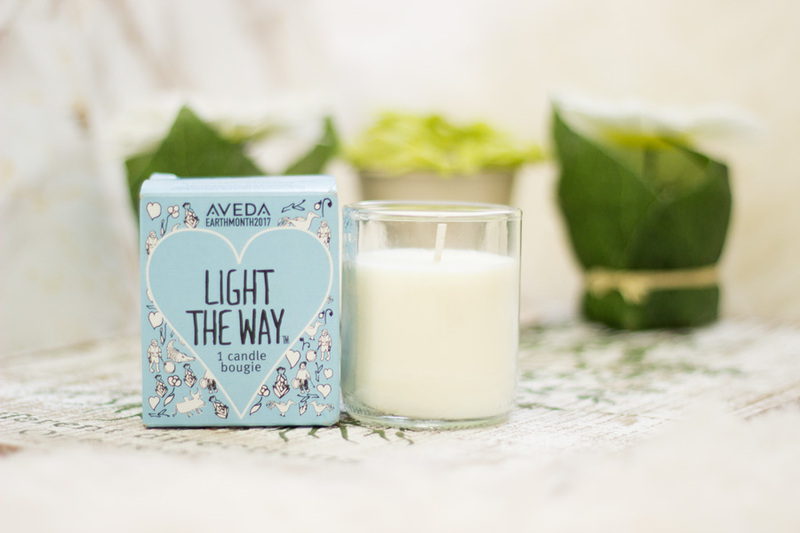 Purchase the Light the Way Candle for £16 and 100% of the purchase price will be donated to Global Greengrants Fund- a nonprofit organisation that changes high impact grands to grassroots groups working to solve environmental problems around the world.